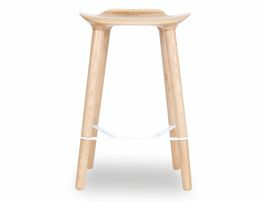 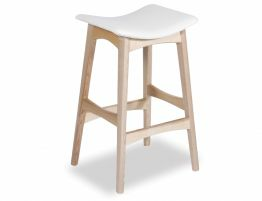 Our Scandi Bar Stool - Natural Solid American Ash w/ White Italian Leather Seat is available in a natural finished American ash with either a black or white leather seat, white shown above. 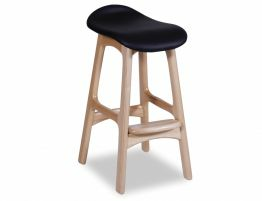 With a straightforward, clean form, judicious use of natural wood, an ergonomic curved seat and ample foot rest, these kitchen stools are certain to become a favorite. 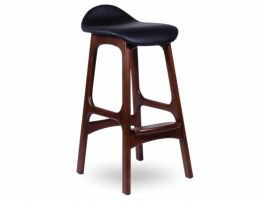 This inspired Erik Buck 1964 OD Barstool is an iconic mid-century modern furniture piece that works equally well in modern and vintage interiors. 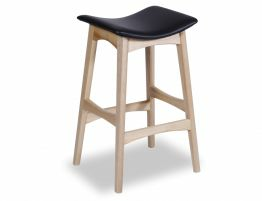 The well-received Scandi bar stools remain a must-have furniture staple as they work so effortlessly with a multitude of styles including vintage, refined rustic and modern spaces. 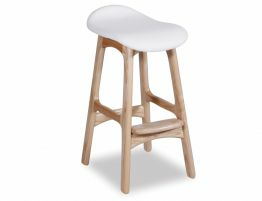 Our comfort-conscious, contemporary, minimalist barstool is upholstered in white Italian leather is based on the Erik Buch Replica Wood Bar Stool and features sturdy four point construction, Solid American Ash for enduring quality. 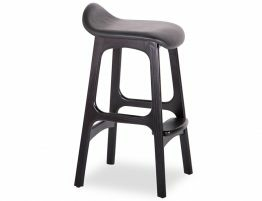 Relax House is known throughout Australia for putting premium, designer quality furniture direct to you.